Easy Scalloped Zucchini - The Co. The zucchini cookery is still going strong over at our house! 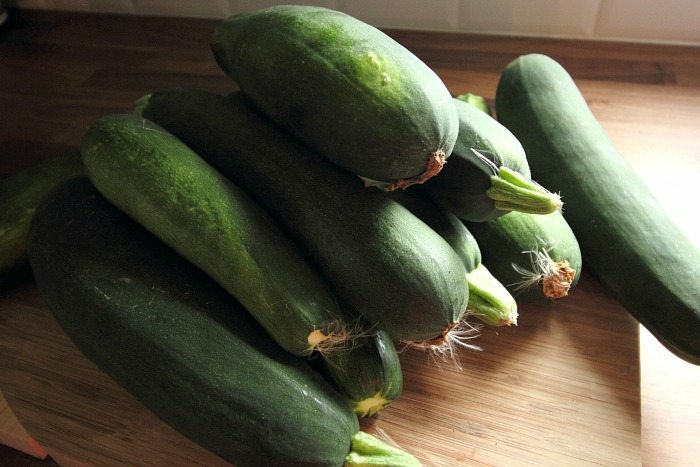 We’ve had so much zucchini from the garden this year and I’ve been determined to use it all up and share some fun recipe ideas with you as well, just in case you find yourself with the same zucchini abundance! This scalloped zucchini recipe was a little bit of an experiment, but it turned out even better than I had hoped! This stuff is really pretty great and I may even like it better than the classic scalloped potatoes! So here’s how to scallop that zucchini! Start out with a whole bunch of zucchini! Once you’ve cleaned off all the dirt, dust, and fluff from the zucchini that you’re using, chop off the ends and then slice the zucchini into rounds that are about 1/8″ thick…. This is an excerpt from the article Easy Scalloped Zucchini which originally appeared on The Creek Line House.